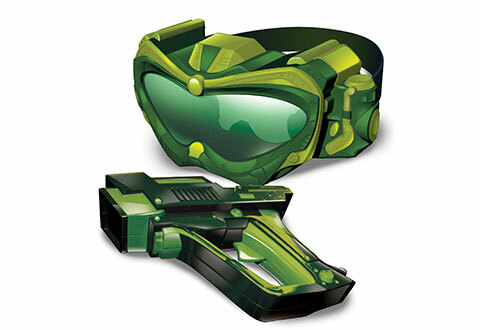 Gear up and blast those aliens away with the Monster Vision! 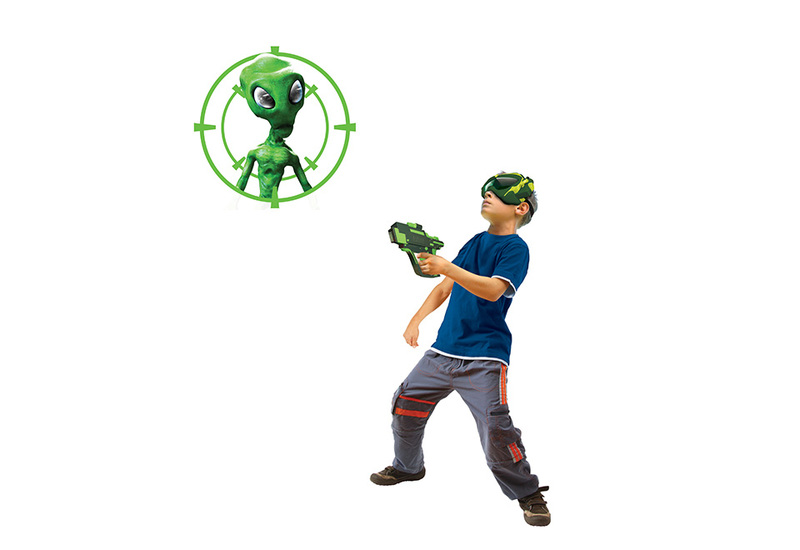 This arcade action shooting game allows kids to take on a mission to eliminate an army of aliens using the included special goggles and blaster gun. Aliens can only be seen if you have on the special high-tech goggles. The goal of this game is to shoot as many aliens as fast as possible to win. Include 1 goggle + 1 blaster. 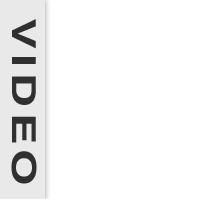 One to two players are able to play at a time. No smartphones or apps required. Ages 4+. Are you ready for your mission? Blast those aliens away with the Monster Vision!